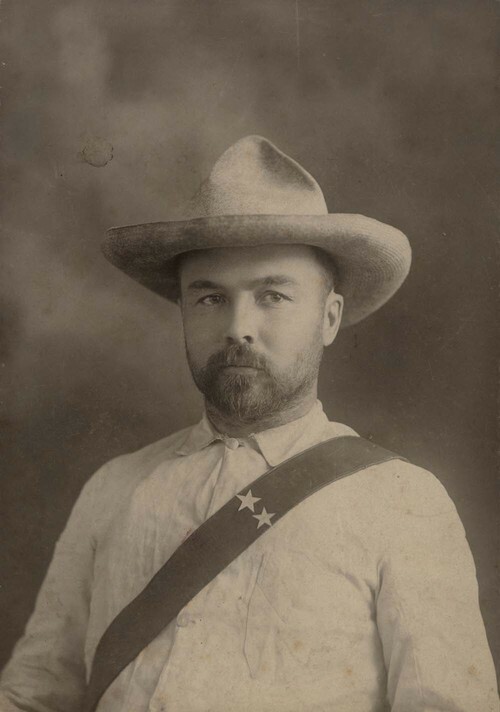 A studio portrait of Frederick Funston, 1865-1917, in the uniform of the Cuban Insurgent Army. This was probably a promotional gimmick coincident with the publication of his lecture "On the inside of the Cuban Revolution." Creator: Iola Art Studio, N.W. Cor. Sqr.